During the summers of 1973 and 1974 Dr. Robert McGhee and Dr. James Tuck, both then professors at Memorial University of Newfoundland surveyed a large portion of the southern Labrador coast from the Quebec/Labrador border up to Red Bay. They found or relocated 13 sites including a number of important archaeological sites such as the L’Anse Amour burial mound and the oldest known site in the province at Pinware Hill. At L’Anse Amour they found or relocated another 14 discrete scatters of flakes, fire-cracked cobbles, and occasional artifacts and the L’Anse Amour burial mound, all of which they saw as a single site. Today we would treat these as separate sites. I say relocated because part of the area had been surveyed and several of the sites had been found 25 years earlier by Dr. Elmer Harp. The data from this survey formed the basis of McGhee & Tuck’s 1975 Mercury Series volume An Archaic Sequence from the Strait of Belle Isle, Labrador. For the most part the cultural sequence laid out in this volume still stands. 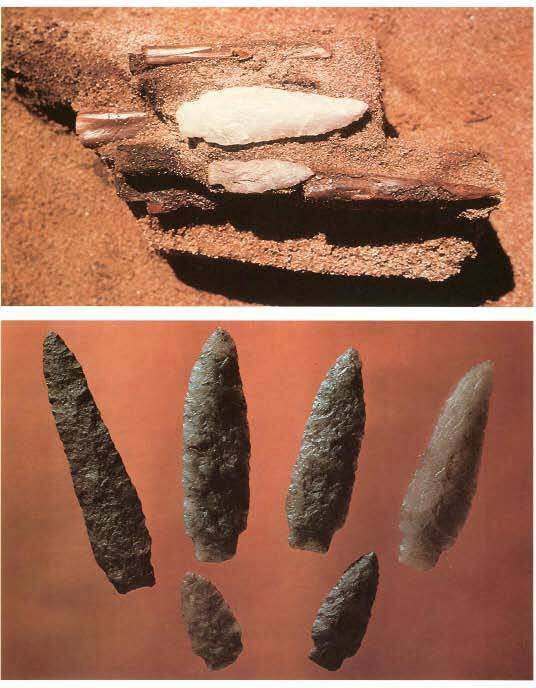 The last 2000 years of the sequence was later filled in by people with a culture that archaeologists refer to as Recent Indian. The field crew for McGhee & Tuck’s surveys included Marcie Madden and Priscilla Renouf. Both of these women produced influential Master’s theses based on sites found or relocated during the McGhee & Tuck survey. Both of them also continued on and earned PhD’s. 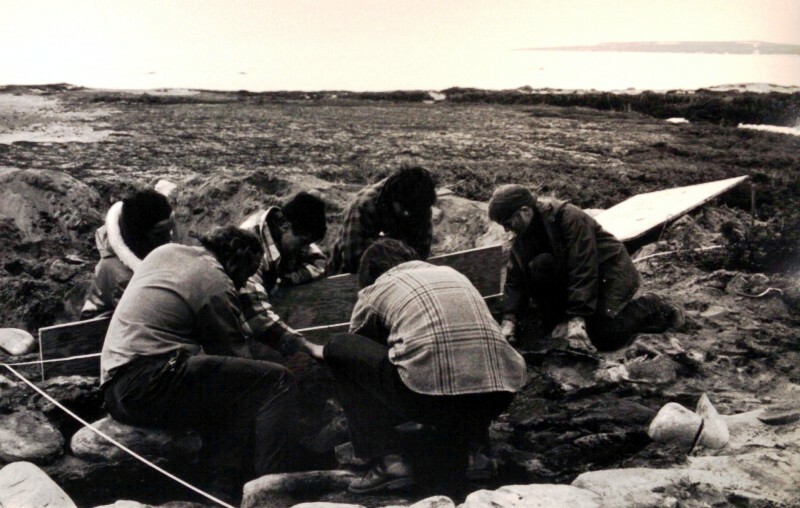 Dr. Renouf became a professor at Memorial University and ran the very successful Port au Choix Archaeology Project from the mid-1980s up to her passing last year. While cleaning out Dr. Renouf’s office someone came across an envelope of photos marked L’Anse Amour burial mound. 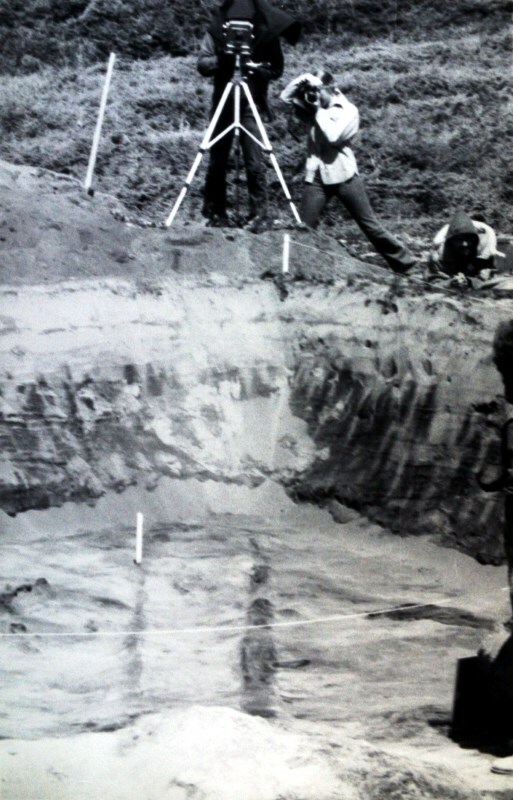 The photos were taken during the excavation of the burial. 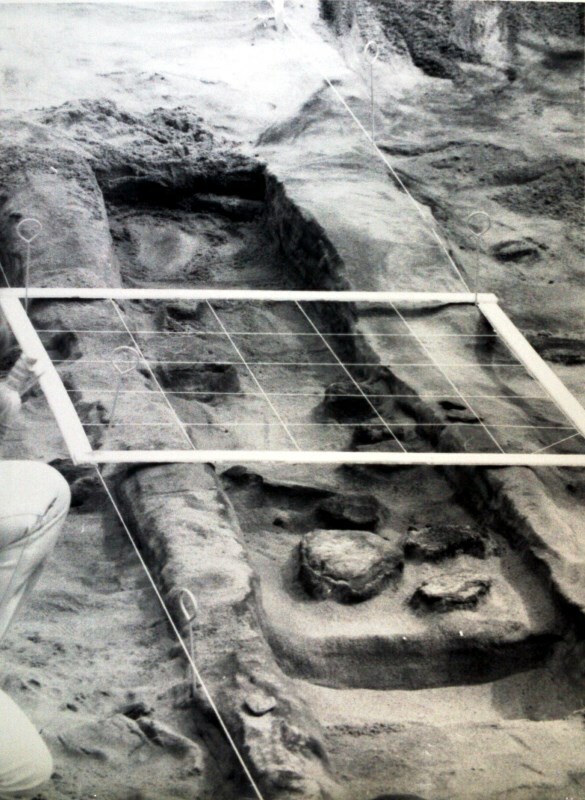 Archaeological work at L’Anse Amour took place during the summers of 1973 & 74. 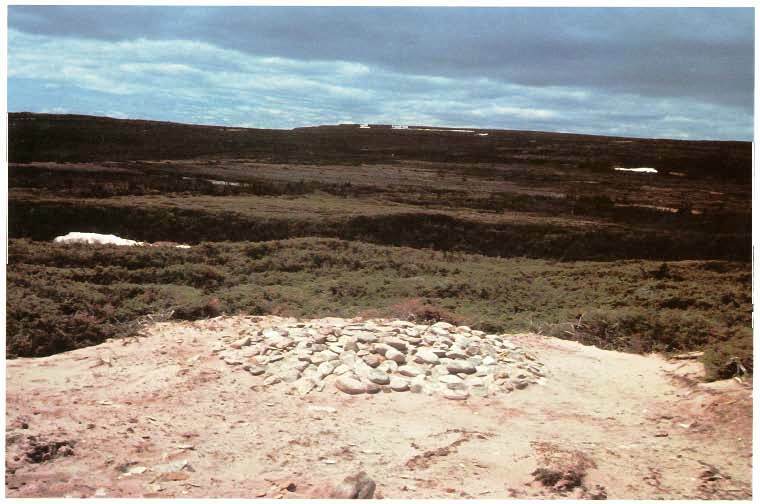 McGhee and Tuck noted the presence of the mound in 1973 “…and ignored it in favour of the pleasure of surface collecting in the extensive blowouts closer to the coast.” (McGhee & Tuck 1975:85) They walked over and around the mound for the rest of the summer. It wasn’t until 1974 that they sent several crew members to clear the bushes and sand off the mound. Several layers of boulders were removed which totaled nearly 1 metre in depth. 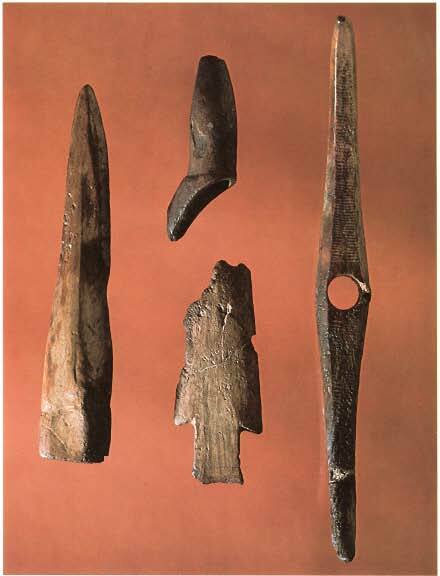 Top photo: A cache of grave goods found above the head, consisting of bone and stone projectile points and a stone knife. 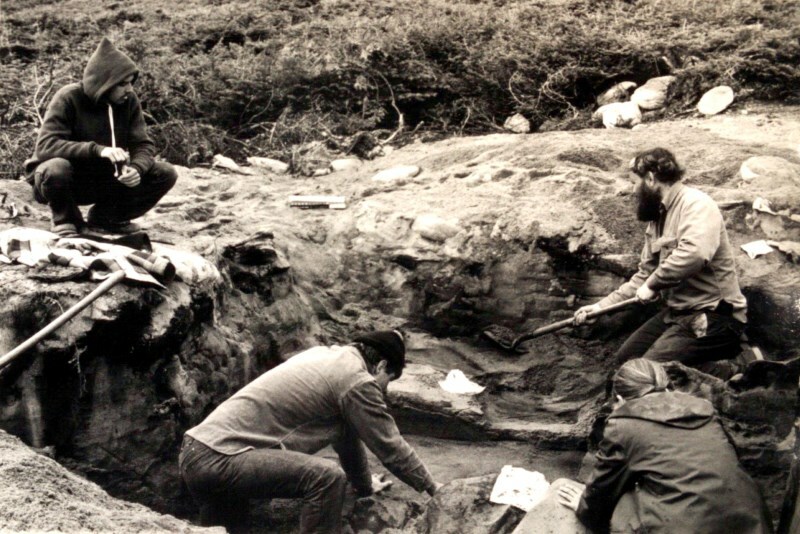 The excavation of the burial mound took place 40 years ago and archaeology and attitudes towards the excavation of burials has changed since then. Archaeologists would not excavate a burial like this today unless it was under threat of destruction. 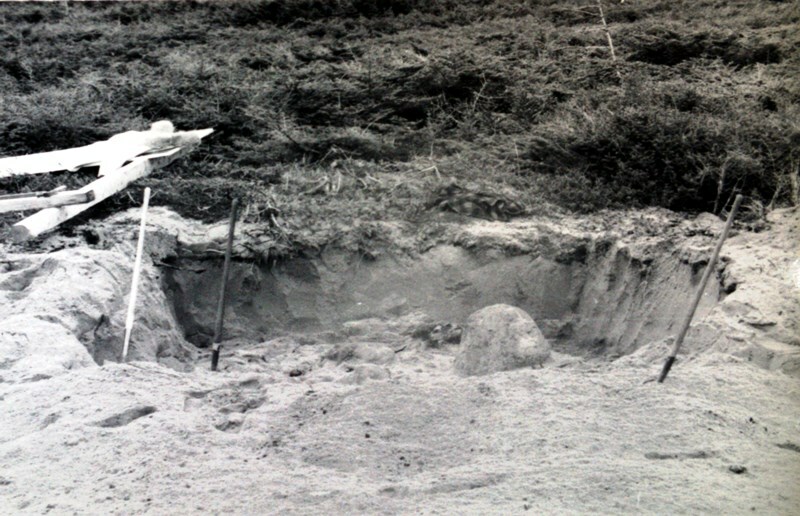 McGhee, Robert 1976 The Burial at L’Anse Amour. 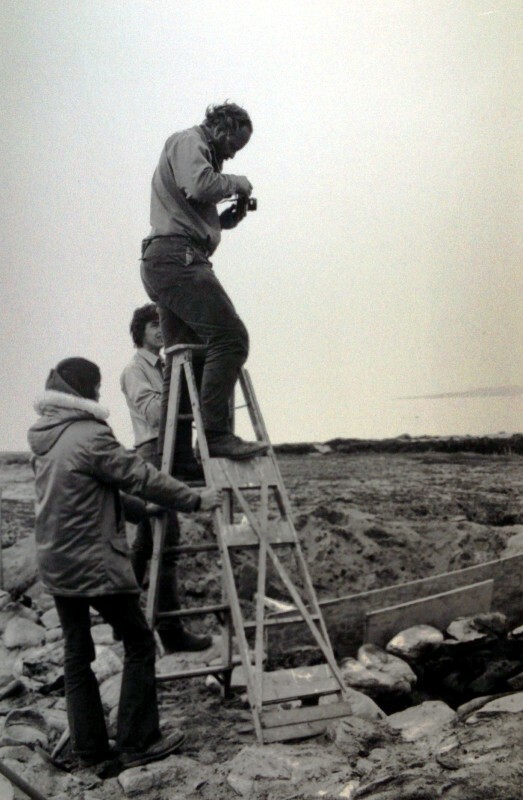 McGhee, Robert & James A. Tuck 1975 An Archaic Sequence from the Strait of Belle Isle, Labrador. National Museum of Man Mercury Series, Archaeological Survey of Canada, Paper No. 34, Ottawa. Tuck, James 1993 Interpreting L’Anse Amour and Southern Labrador Prehistory. Unpublished internal report submitted to Department of Tourism and Culture. Next Post Where did the Change Islands biface cache come from, chemically speaking? Thank you for this article, I’ve learned a lot about this site just from reading here. I am from Labrador and have family all along the coastline. I frequently visit L’Anse Amour and love to sit by the beach there and wonder what life must have been like back then for this young person. It strikes me everytime I stand on the platform and view the burial mound that it is not protected in some manner.. someone could easily run over it on an ATV or snowmobile and not know it is there. I am assuming this is not the case as mostly locals frequent the area at the times of year where this would be a danger and they know of its existence. 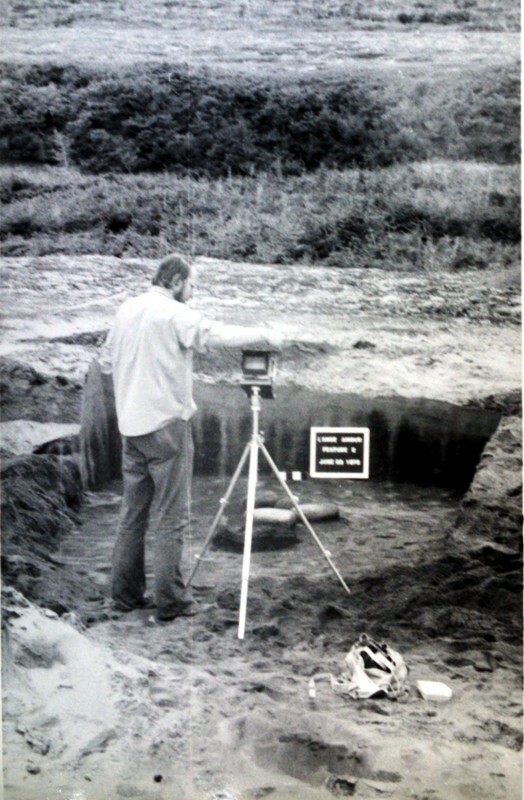 I have a great respect for archaeologists and their work, I sometimes wish I had followed my dreams to work in the field when I thought about it in high school. But I greatly appreciate the work of Tuck and all who worked on preserving the history here and in Red Bay. I am very happy you feel as though you’ve learned something, that is one of my goals for this blog. I feel obliged to inform your readers that only a kilometer or two from this “ancient burial mound, perhaps the oldest such structure in the world”, an industrial development is planned which may, or may not, have negative effects on this site. To supply the rock for berms in the underwater section of the Labrador Island Transmission Link (Nalcor) an independent company (and a separate environmental assessment – I might add) will build a wharf with a 10,000 sq meter surface area and an associated 6 hectare laydown area for the quarried rock. The quantity of rock required will be one million tonnes, yes one million, to be taken from the quarry, perhaps at its northern extent, less than one kilometer from this burial mound. Should the company doing this work be responsible to ensure the integrity of this site? To sit on that beach in five years time and look at this mysterious burial mound with a huge rock quarry as a backdrop. Progress. I fear to imagine the progress human kind has made in eight thousand years. Thank you for this information! 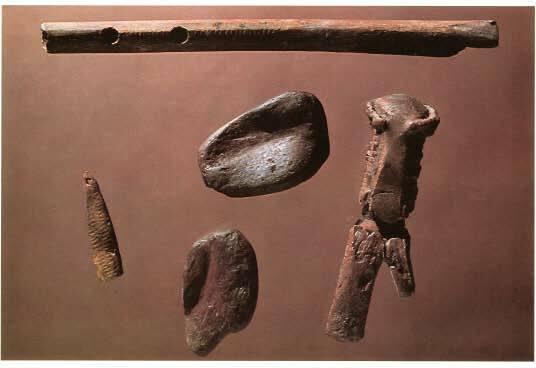 I research flutes and believe that the flute I cite on this page on my Flutopedia site – http://www.flutopedia.com/dev_flutes_northamerica.htm – is the same flute you show on this “The L’Anse Amour burial mound” page. Is that correct? Would love more information on this artifact … and also if you have access to the reference McGhee, Robert 1976 The Burial at L’Anse Amour … and could provide a pointer to that, it would be most helpful. Do you know where I could see image of the child’s squeleton ? My kids at school ask me for after I told them the story of this great discovery in class. Is the squeleton somewhere ? Out of respect to the Indigenous folks photos of Indigenous skeletons are no longer taken or shown.